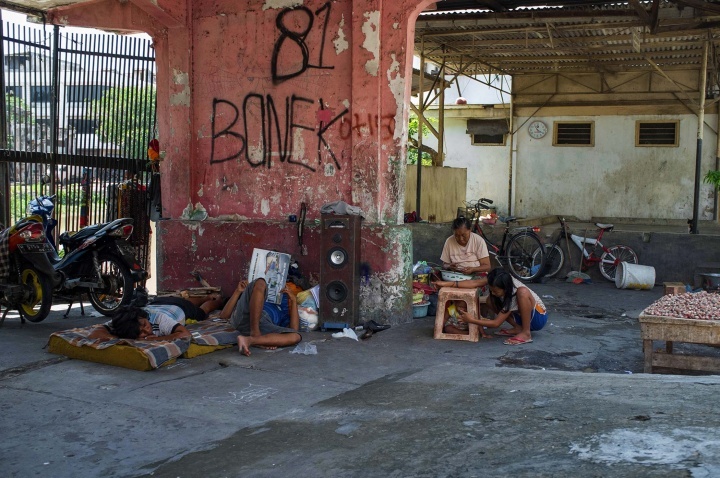 A polluted, congested, business-focused city; Surabaya is not the ideal place for travellers. Crossing the eight-lane highways that rage through the city centre is a challenge in itself. It has very little in the way of comfort, from taking local transport to finding hotels, everything is a disaster for the traveller with high standards. For me it provided endless opportunities to indulge my curiosity. Cat with stumpy tail rests after another day of zero activity. 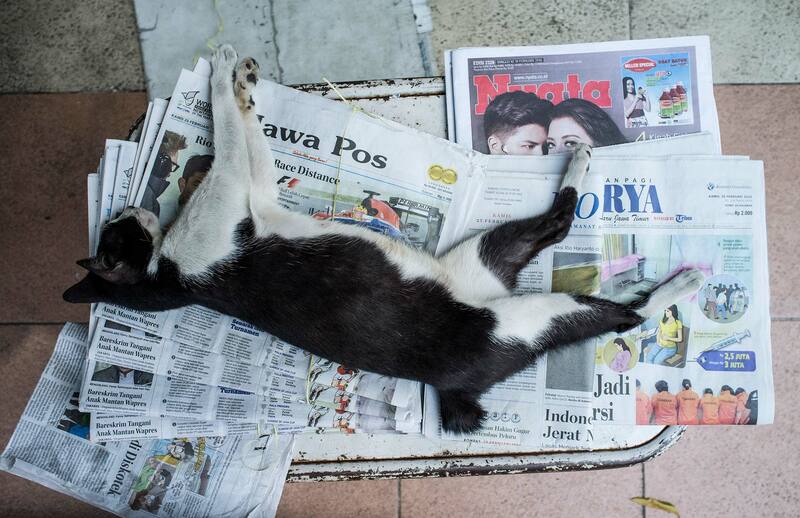 Something I noticed immediately after I left my hotel was that a most cats in Indonesia have stumpy tails. Cats without stumpy tails here usually have crooked tails instead, shaped like the Russian letter — ‘г’ (English letter: ‘g’). Some say that the local cats were brought into Indonesia from Holland during the colonial period and that the cats degenerated as a result, especially due to the food. Others propose that the cats may have descended from the Japanese bobtail breed and that when mixed with shorter tail cats the number of cats born with short tails increased. What a great introduction to the city. Surabaya, on the north cost of East Java, is Indonesia’s second largest city and third largest port, after Jakarta and Medan. The city’s history can be traced back to the 13th century, when its inhabitants resisted a Mongol invasion. Situated on the Brantas River, Surabaya was officially founded when Raden Widjaja established the Majapahit, Indonesia’s most glorious empire, on the site of a legendary battle between a Suro (shark) and a Boyo (crocodile). According to the myth these two creatures fought each other in order to win the title of “the strongest and most powerful animal” in the area. Traditionally this myth is interpreted as a prophecy of the conflict between the forces of the Mongols and Majapahit. Hazy early morning in Surabaya. Today the preference is to present the name as “sura ing baya”, which means “bravely facing danger”, interpreted literally to mean daringly facing the coming danger. Some people consider this saying to relate to the great war between the native Surabayans and foreign invaders (British, Dutch and Japanese) at the start of the war of independence in 1945. What was initially presented a symbol of heroism in the battle between two empires in 1293, was repackaged in 1945 to boost the national spirit of the country after the Battle for Surabaya, which occurred a few months after Indonesia declared its independence. Surabaya became a major centre of the Indonesian revolution of 1945, from which it earned the title “Kota Pahlawan” or “City of Heroes”. Tales of heroism existed in Indonesia long before the founding of the Republic of Indonesia as a unified nation. After a month of bloodshed at the hands of British troops, tens of thousands of people perished and the streets were drenched with blood. While men died on the battlefields women and children died in the gutters. 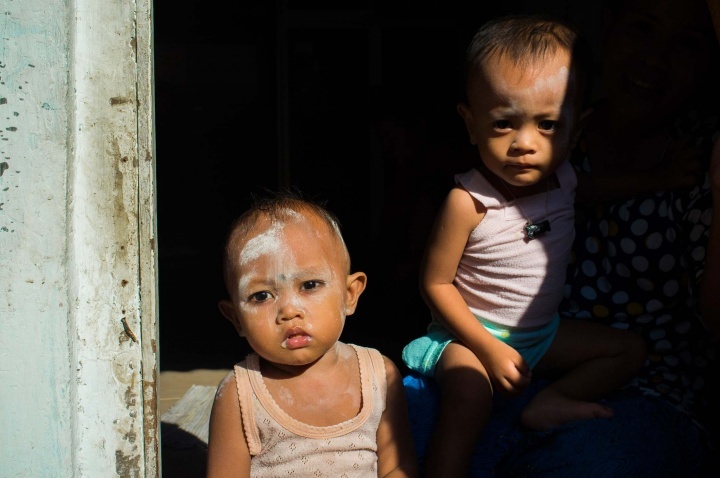 Rice paddies, hospitals, roads and canals were packed with corpses. Due to the continuous attacks, no medical assistance could reach Surabaya for some days. This event was later commemorated as ‘Heroes’ Day’, without diminishing the importance of the battles and the heroic spirit displayed in other areas of Indonesia. Surabaya eventually celebrated this bloody month of resistance with just one monument, in the city centre. The battle for Surabaya was the single bloodiest event of the war. It demonstrated the determination of the nationalist forces and their sacrificial resistance, which later became a symbol of the Indonesian revolution. By tearing off the blue part off the Dutch flag, the two remaining colours of cloth were declared as the Indonesian flag and used by students and nationalists as an expression of nationalism against the Dutch. Local man in a conical hat. Surabaya developed and grew as a result of its trading activity along the riverbanks. 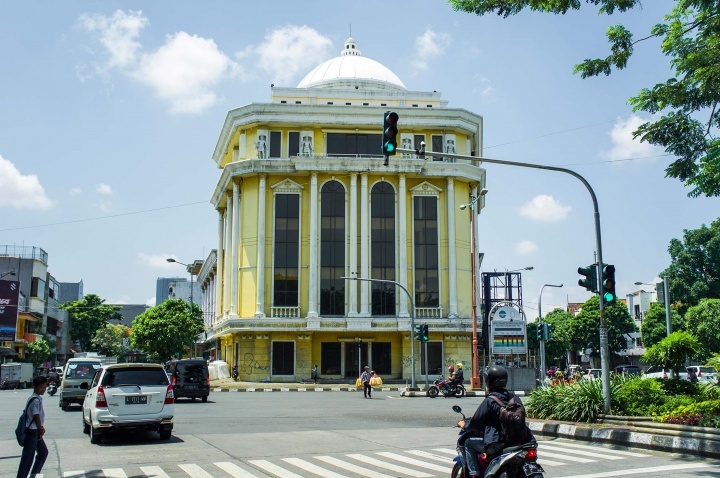 The Dutch government had seen the benefits of Surabaya’s geographic location and established the town as a trading centre for the spice trade. 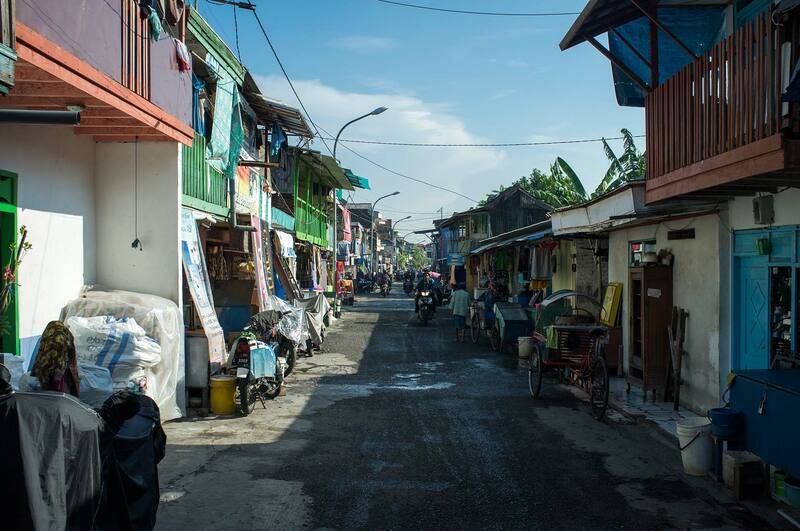 Under the Dutch colonial government, Surabaya became Java’s largest city, overtaking Jakarta (then called Batavia). It was the minor sea port for all of East Java for over a century, and served much of central Java and the eastern islands as well. Surabaya’s rise evolved from trading traditions that pushed further development for the small industries that processed spices and serviced ships. 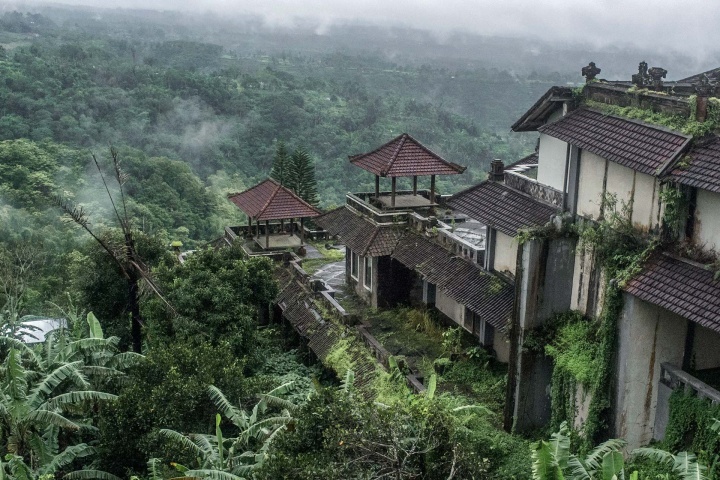 It became a major trading centre that hosted the largest naval base in the colony and was the centre of Java’s plantation economy and industry. This industrial principle laid the foundations that powered Surabaya into the postcolonial era. 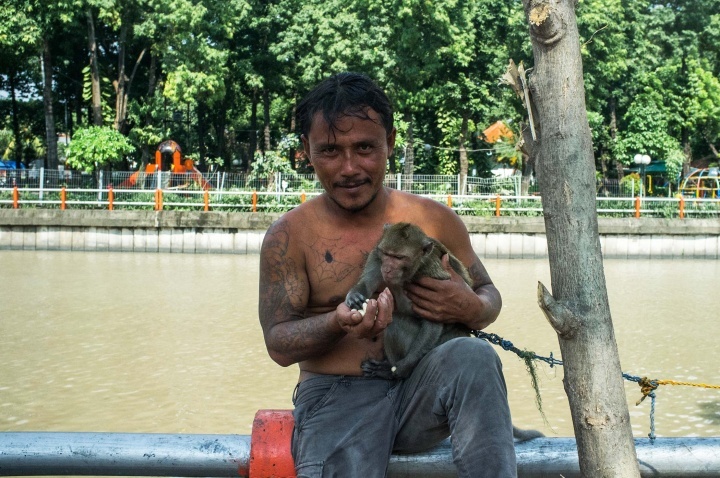 Tattooed man, who looks like a gang member, feeds a monkey tied to a tree on the riverbank. Today Surabaya has one of the busiest ports in the country. 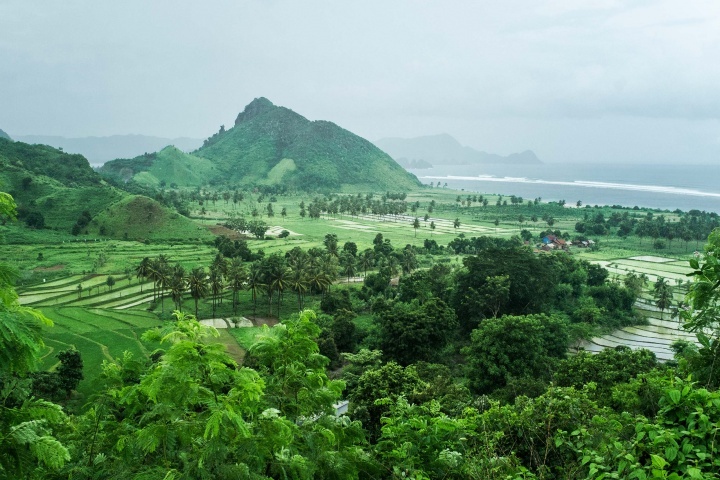 Just like its neighbour Probolinggo its principal exports include sugar, tobacco and coffee. It has a large shipyard, naval base and numerous specialist naval schools. Surabaya is home to the Eastern Fleet, one of the Indonesian Navy’s two fleets. Its strong maritime heritage is also represented in the form of the KRI Pasopati Submarine Monument, a retired Soviet Whiskey-class submarine. Students visiting the Soviet submarine. The Indonesian Navy’s Whiskey-class Pasopati submarine is mounted on a pedestal at Surabaya’s riverside, just a few kilometres away from the base. “Whiskey-class” is the class of naval submarines that the Soviet Union built in the early Cold War period. 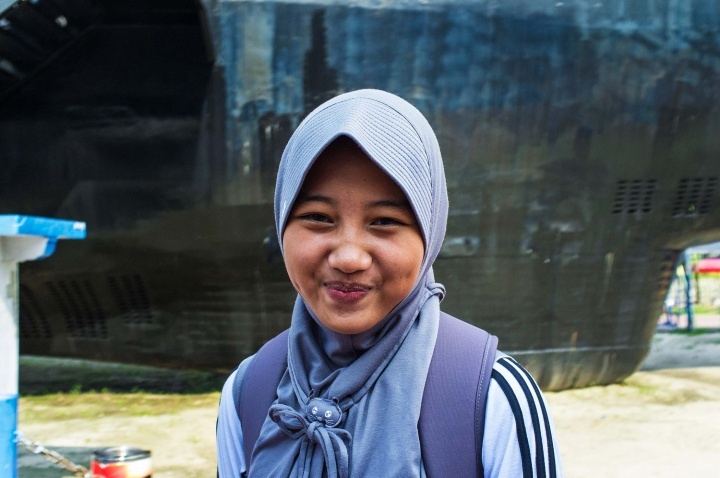 Launched in mid-20th century and decommissioned in the 90s’, the Soviet-built submarine is displayed as a proud servant of the Indonesian Navy, now preserved as a monument. The body was cut to allow stairs to be installed so visitors can get in easily. 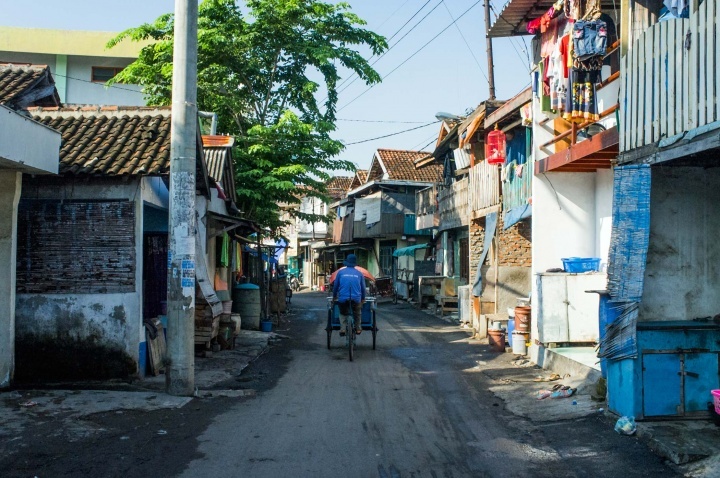 Because of its geo-location, the Javanese make up the majority in Surabaya, but there are also significant minorities of Chinese Indonesians and Madurese in the city. 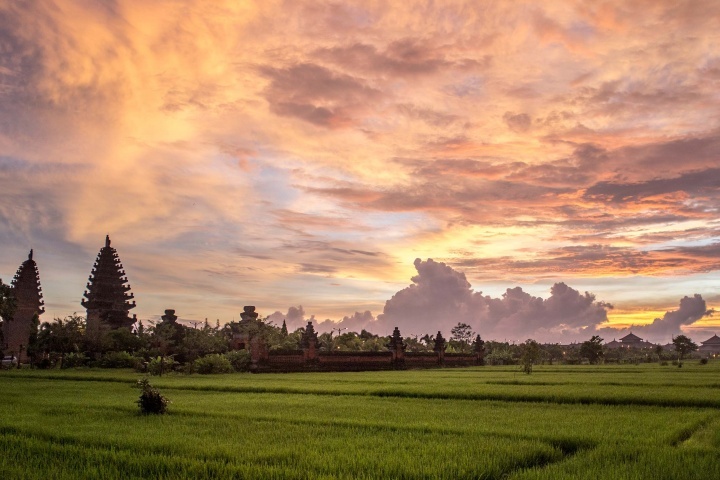 Due to low land fertility in Madura locals migrated to Surabaya and Probolinggo over hundreds of years. 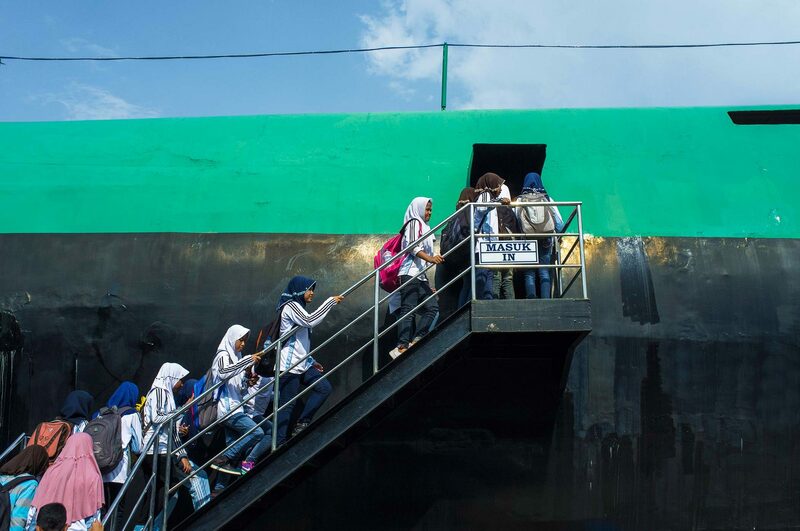 The Surabaya—Madura Bridge that opened in 2009, was expected to increase the area’s interaction with the regional economy, using cheap labour. One of the first things you will notice here is the presence of Chinese Muslims, the most obvious being those wearing headscarves. Indonesian student in hijab with a peaked front. Besides a navy submarine, Heroes’ Monument and salted ice-cream there isn’t much to see in Surabaya. The list of attractions might also include the second largest mosque in Indonesia — Al Akbar (Great Mosque of Surabaya), its modern and unique architectural style has made it an iconic religious tourist sight of Surabaya. 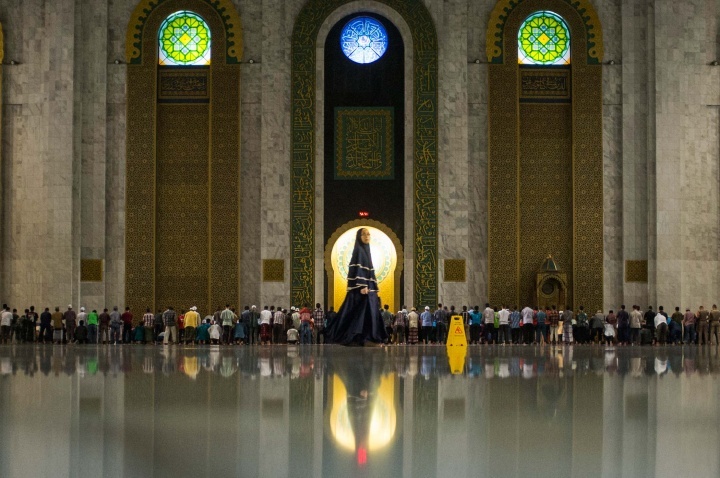 A woman walks to women's area of the mosque for the start of prayers. As I wandered about at the mosque, a security guard approached and offered to show me around. He spoke pretty good English, which made me suspect that besides its normal activities as a mosque it was a tourist attraction too. However it was free of charge so I took his gesture as a friendly introduction to the faith. The mosque is really large and spacious, it has a dome, which is intimidatingly large and makes you feel small in front of God. It also has a wide entrance, fountain and large reception areas, marked in green and brown colours. Only Muslims are allowed to enter the green area — the mosque itself, hence I could only view it from the doorways, remaining in the brown area behind the doors. This is how I remember the colours, but it might be the other way around. 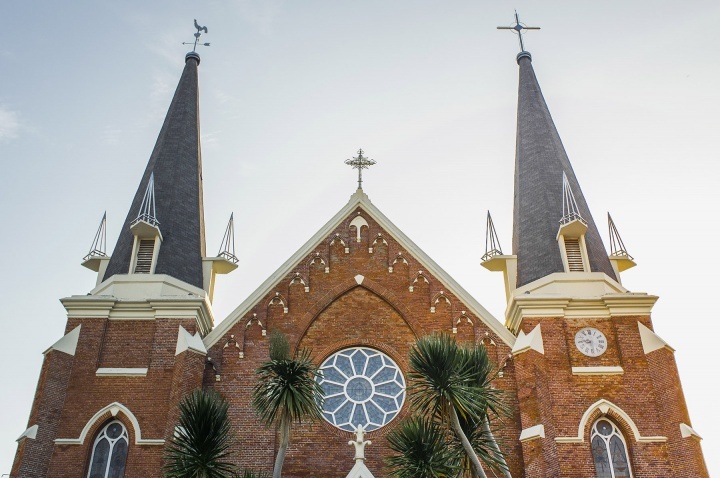 Different religions have co-existed in Surabaya for centuries and the city has rarely seen violence between religious groups, an exception being the 1998 political unrest which swept across Indonesia, when several small churches (primarily Protestant) were the target of bombings. 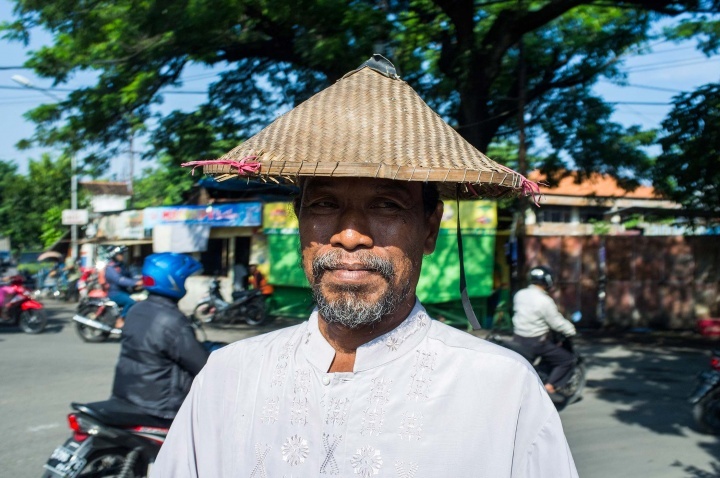 Around 85% of citizens in Surabaya follow Islam, other major religions include Christianity, of whom the majority are Roman Catholic devotees. For Christians there are holy places of worship in the city too; sizes vary from small garage-size local shrines serving up to 25 people, to large and popular city cathedrals serving hundreds. The latter I found curious because of the palm trees standing outside the building. Roman Catholic Diocese of Surabaya. 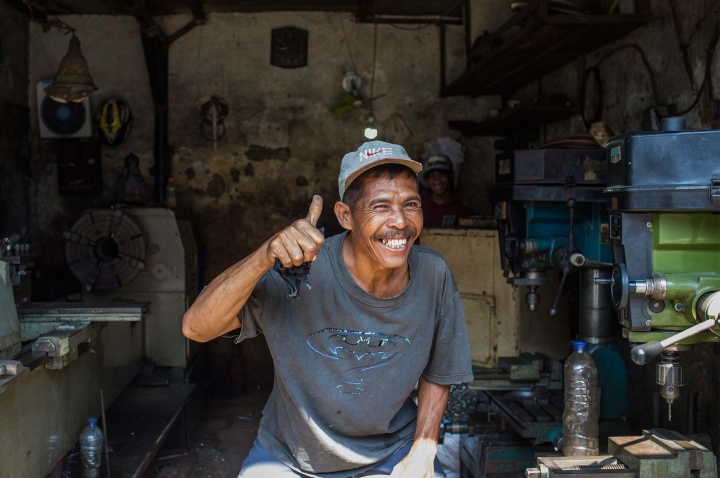 After the revolution, Indonesia underwent a few significant changes, including industrialisation, which helped to achieve high literacy rates and to raise people’s living conditions. 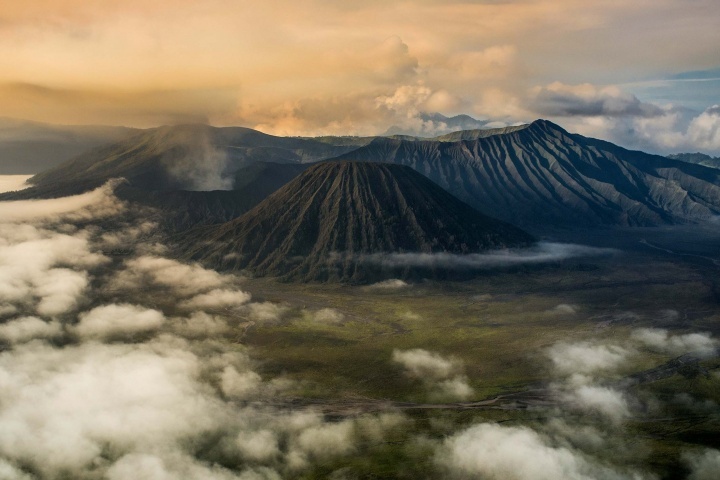 By the early 21st century, Indonesia rose to be the largest economy in Southeast Asia, and one of the world’s emerging market economies. Like many low income countries, there are great disparities in the status between women and men. Based on various pieces of research women have higher levels of illiteracy and lower levels of school attendance than men. The number of women found in high level political and administrative positions is much lower than the number of men in these roles. The importance of women’s participation is specifically recognised at the local village development level. Female led households have a tendency to play a more active role in village improvement than male led households. On the other hand, industrialisation creates urbanisation which has high dependency on formal sector industries. Along with other industrialised, developing cities, urbanisation in Surabaya means many industries are situated in the city, which has caused mass immigration and also created a rise in informal business activities. Sleeping becak driver. 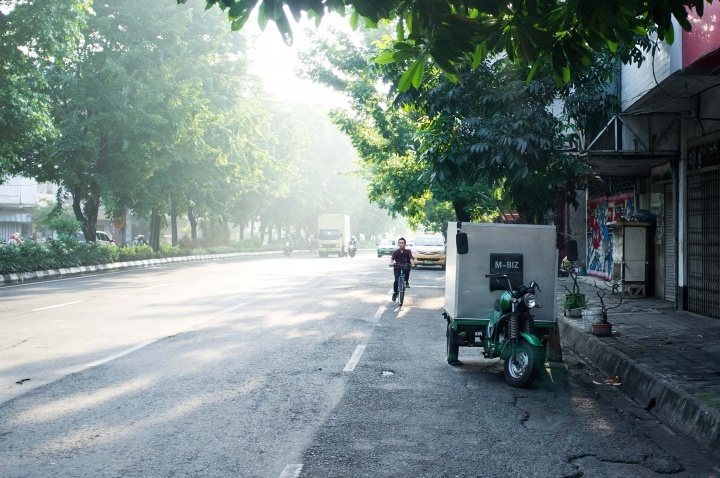 These becak bikes often serve as a house for their drivers too. 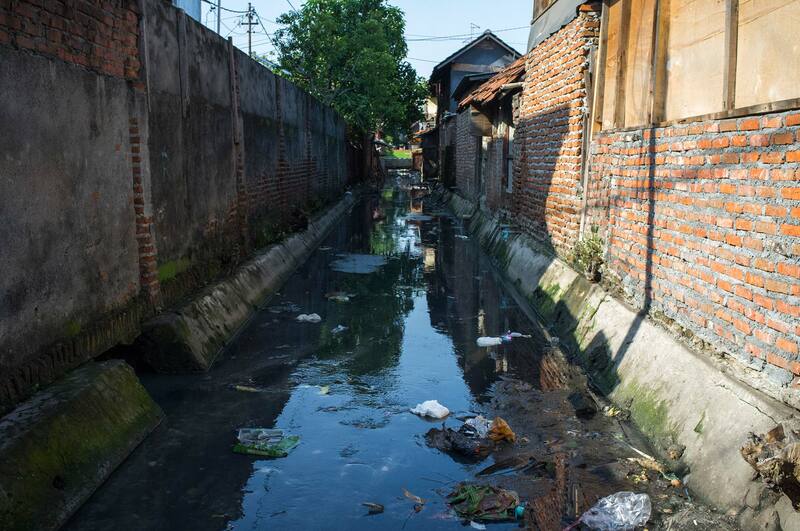 Surabaya faces a major threat from inadequate drainage systems and poor waste management that could trigger a serious sanitation problem in the future. The drainage system here is often clogged up with rubbish and green areas in the city are nonexistent. Although water services have increased substantially over the last few years, about 35 percent of households are still without piped water. Others receive water from public water taps or purchase it from private dealers. 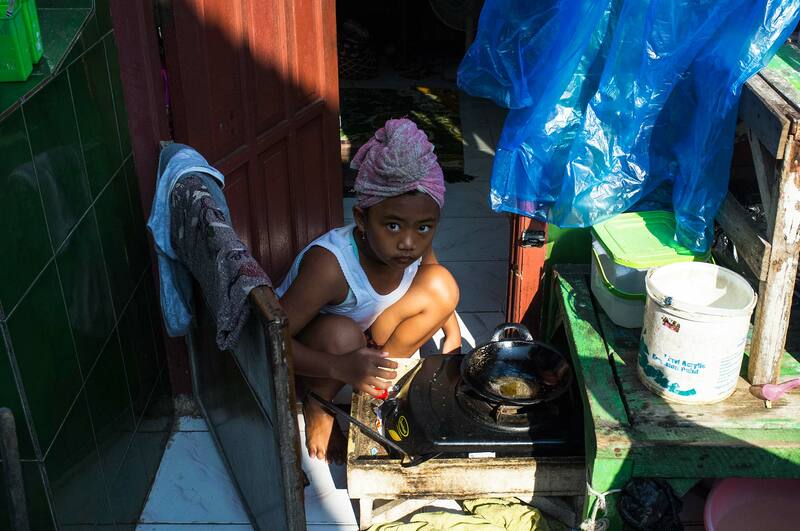 Only about half of the households have private water-seal toilets. Another half of residents are still dumping garbage and human waste into rivers, where the local villages collect water to wash their dishes and themselves. 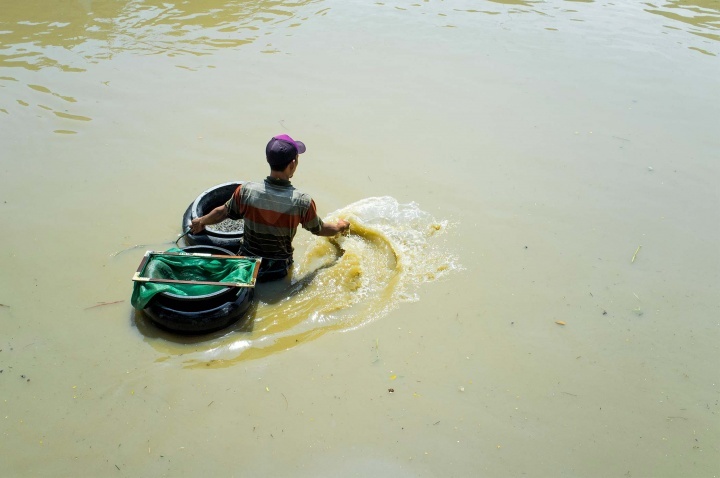 Local man using a net to catch ‘fresh’ water cockles in the polluted waters of river in Surabaya. Lack of adequate drainage systems and poor waste management are caused by the inability of the city to receive such large numbers of poor job seekers. These migrants are often unable to find paid employment in formal industries, instead seeking work in the informal job sector where the work is mostly orientated towards the production of consumer goods — clothing, food, jewellery etc. Happy local blacksmith poses for the camera. The streets in Surabaya are not pedestrian friendly, there are huge holes in the pavements, broken pedestrian traffic lights, and in some areas, pavements simply don't exist. Pedestrian crossings are an even bigger joke; a zebra crossing can lead you in you into the wall of a building with no pavement, and since locals jump red lights and drive at high speed — crossing the road and then walking ahead on it became impossible. Informal sector businesses provide cheap and efficient products and reduce the overall cost of transportation. Amateur entrepreneurs have created small basement-garage-based businesses where poor jobseekers perform their low paid daily activities. This has helped to further increase immigration to the area and led to the emergence of slum settlements. Those not lucky enough to get a house in the slums are forced to wander the streets with their belongings. 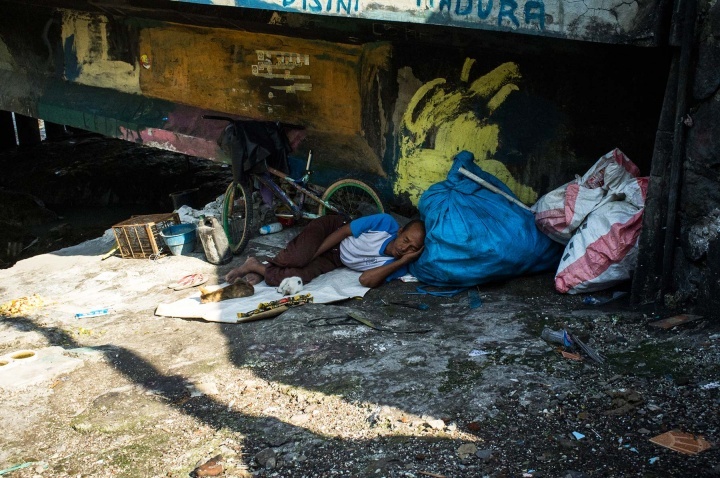 Man sleeping under bridge with his possessions and pets. 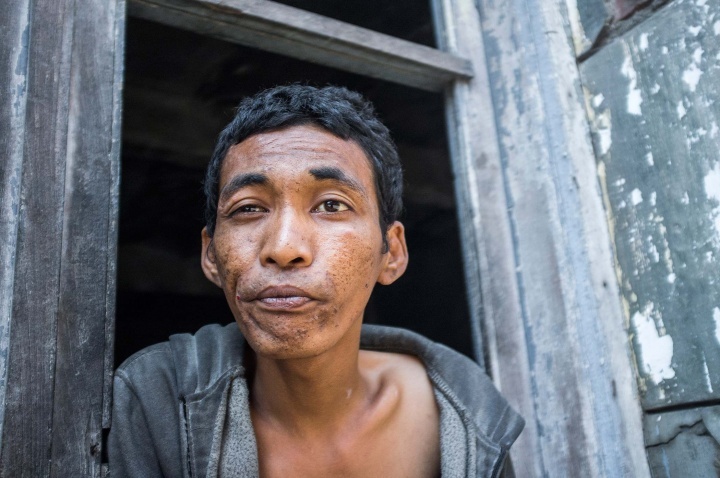 Homeless man trying to speak to me in Indonesian. 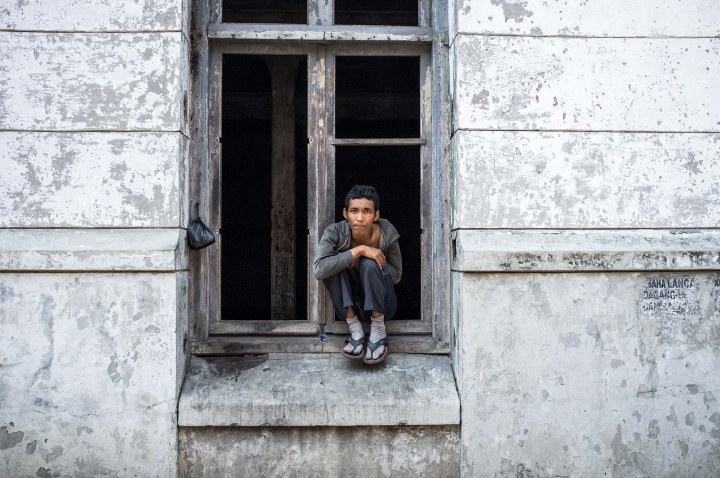 ‘Homelessness for people in many parts of the world is an unfortunate stepping stone, a transitory period until they can get back on their feet. Often caused by economic difficulties, the duration of being houseless varies. In New York City, just 6 percent of homeless people live in emergency shelters for longer than six months. 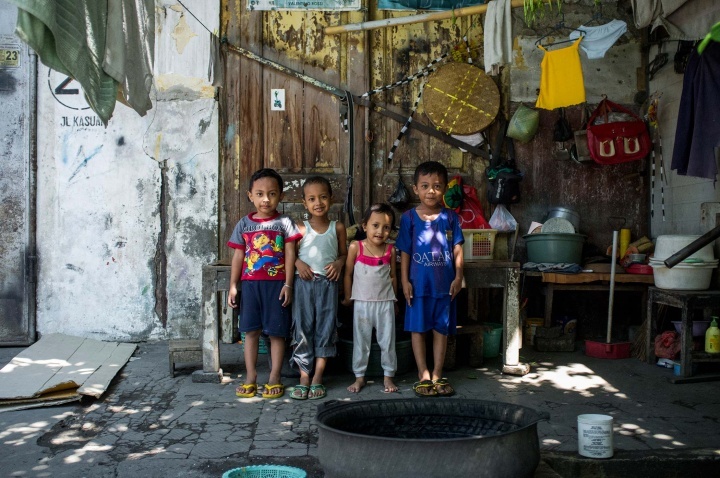 In Hong Kong, 60 percent are off the streets in less than three years.’ 40 percent of Hong Kong’s population also live in subsidised public housing, and 100,000 people live in cage homes, these aren’t ideal but can help as temporary solutions. 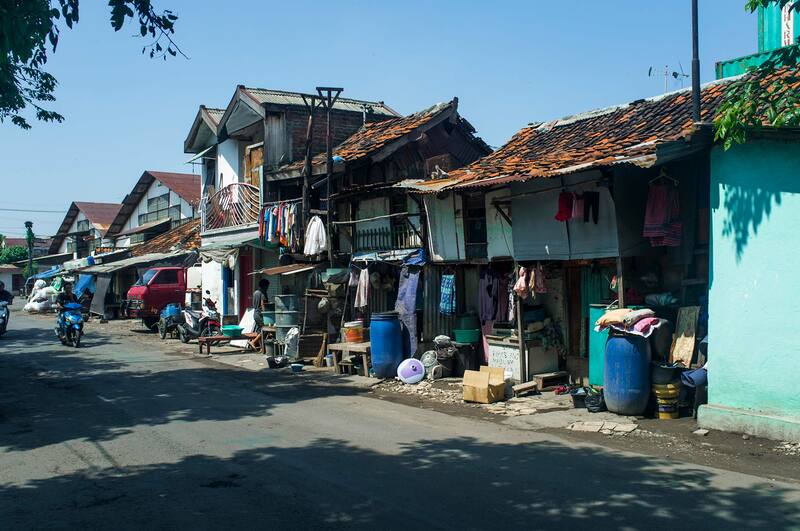 But homelessness, for many people in Indonesia, is not just a transitory period, here some people live on the streets for decades. 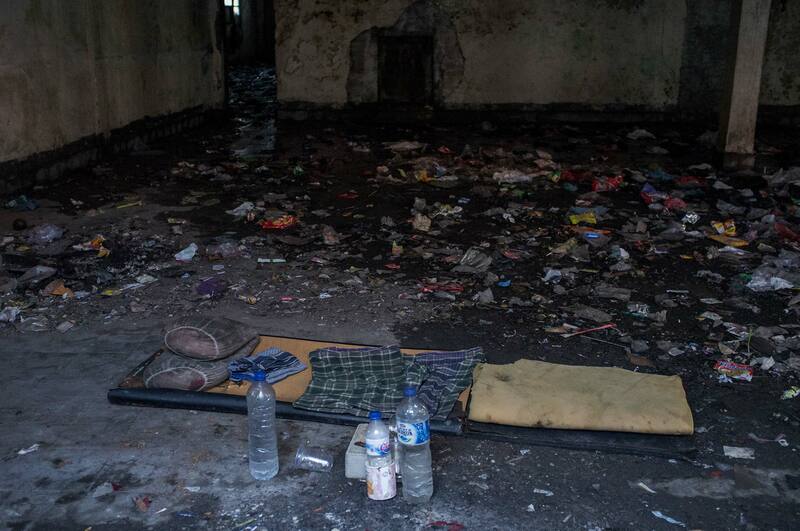 They remain in these dire conditions despite the fact that many perform the jobs that help the city around them run, like garbage collectors, waste-pickers, construction workers and domestic workers. Unfortunately they have to continue living their lives on the streets.